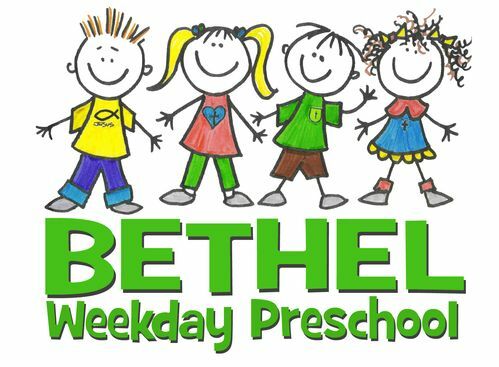 Bethel Weekday Preschool is a 5 day, Christ-centered, preschool that provides the education and spiritual foundation for kids as they prepare to enter Kindergarten. Children will learn everything from their ABC's to 1,2,3's, colors, shapes and much more. They will also learn that God created each of them just the way He wanted, that He has a purpose for their life and that more than anything, He wants a relationship with them. Each week, in addition to classroom instruction and play time, all classes participate in chapel where our staff Pastor's teach a Bible lesson that each child can understand. It's a time of not just listening to someone teach, but it gives them an opportunity to interact and to help them understand what the message truly is. In addition to the Christian curriculum offered by your child’s class, each class has free play during each day. During cold and rainy weather we have playtime in our fellowship hall where we pull out ride-on toys and balls. When the weather permits we have outside play time on our playground. We have a great fenced playground that meets all safety regulations for children ages 2 and above. 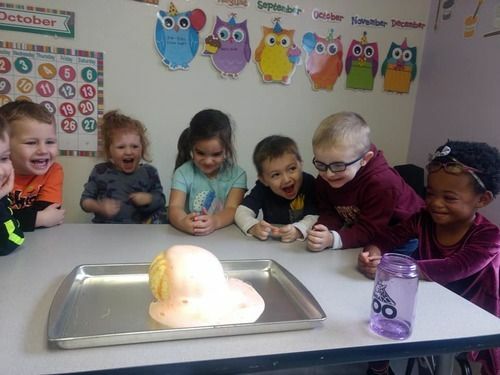 At Bethel Baptist Church Preschool we believe that age-appropriateness needs to coincide with our curriculum through both academic and learning through play. Our program allows each child to experience active learning by providing hands-on learning, exploration, problem-solving and reflection. Learning materials and teaching styles are responsive to the age and individual differences of children. 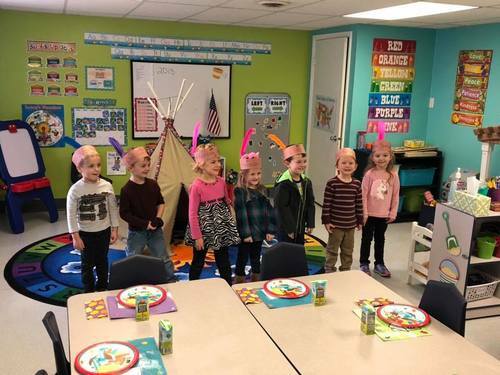 We see the importance of learning through play and of learning very important socialization skills, while also acknowledging that academic instruction in the older classes is necessary to adequately prepare our students for Kindergarten. We wish to be a joyful and rewarding beginning to each child’s educational journey. 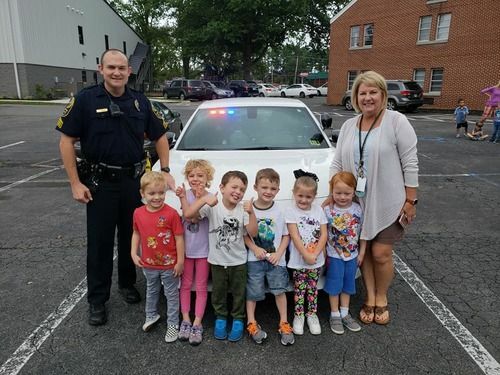 Being two is terrific at our school! In the Ocean Buddies class your child will learn basic classroom essentials like manners, sharing, taking turns and getting along! In addition to their daily Bible story, they do lots of fun crafts, dramatic play, read lots of books, work puzzles, play games and building fun! In this class we focus on shapes and colors as well as begin number and letter recognition. They have discovery centers, home-living, cooking experiences and more! Children must be 2 yrs and 6mos before starting in this class. In the Lions class your child will review basic classroom essentials like manners, sharing, taking turns and getting along! In addition to their daily Bible story, they do lots of fun crafts, dramatic play, read lots of books, work puzzles, play games and building fun! Children will begin to discuss weather, and review of shapes and colors as well as work on number and letter recognition. They have discovery centers, home-living, cooking experiences and more! Children must be potty trained. Our four year olds have fun, fun, fun! These adventurous Pre-K classes will work on letter and number recognition, beginning phonics, fun games and reading cool books. They will also be running, jumping, building, socializing and playing! In addition the daily Bible story, this class focuses on several skills to get your child ready to enter the Elementary school world. This is very important transitional class for our children and they are very busy learning each and every day. We hold evaluations in the Spring for our Pre-K classes. Children must be potty trained. To request information about our Weekday Preschool, just fill out the required information below and we will be in touch with you shortly. Connect Groups are where life happens! They meet on Sunday mornings for Bible study but more importantly, they do life together throughout the week. If you are interested in joining or leading a Connect Group, contact one of our Pastors for more information. Each weekend during this time, our church gathers together for the weekend worship experience where we sing, pray, study, give and prepare to head into a world that desperately needs hope.